Everything you could possibly need to know (and then some) about purchasing tickets and attending CAP UCLA performances. What if a program is cancelled or changed? All programs and events are subject to change. Life happens. If we must cancel a performance we will notify you ASAP and offer refunds or exchanges. Please make sure Your Account is updated with your current email address. Not as difficult as you might think! Check out cap.ucla.edu/visit to use our convenient trip planner for all venues. Or, take advantage of the UCLA Interactive Map maps.ucla.edu/campus. CAP UCLA does not set parking rates. Rates are set by UCLA Transportation & Parking (310.825.8299). All campus staff, students and visitors are required to pay for parking, whether they’re coming to work, coming to a show, or coming to class. Parking on campus is $12. Handicapped parking is $5. Please bring cash – only select lots accept credit cards. Carpool! Dare we suggest public transit? How the heck do I find Freud Playhouse? Why do you often present performances at off-campus venues? We are dedicated to making the best home for every work we present, to create the most optimal experience for both artist and audience. Plus, it’s fun to explore other spaces, especially those where local artists are making work. We know all about L.A. traffic. Latecomers are held until an appropriate break in the performance; late seating polices vary by performance. For theater/dance, there may be a long wait. We cannot guarantee late entry or offer refunds, so please make sure you leave yourself plenty of time to arrive and park on campus. Where can I get food before/during/after the performance? The Royce Bar offers light fare and beverages for purchase and is open an hour before performances, during intermissions and after select performances. Refreshments will also be available at most other venues as well. You can always choose to make a night of it by supporting one of our nearby Dining Partners – see a current listing at cap.ucla.edu/visit. Are your venues handicapped accessible and ADA compliant? All venues have wheelchair seating and most also have aisle-side transfer seats with folding armrests. Royce is equipped with an assistive-listening system. (Headsets available free of charge with an I.D.) 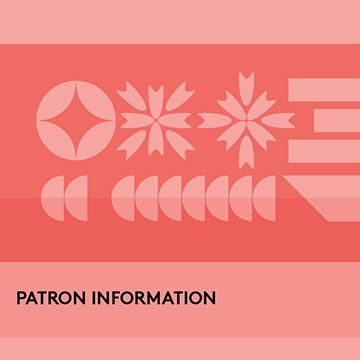 If you need extra help to visit any of our venues or plan to be accompanied by a service animal, call Patron Services at 310.267.4465, fax 310.206.3843 or email us at patronservices@cap.ucla.edu at least two weeks prior to the performance. If possible, indicate special needs at the time of purchase. We’d love to hear from you! Call the UCLA Central Ticket Office (CTO) at 310.825.2101 Mon-Fri between 10am and 4pm or email us at info@cap.ucla.edu. Use our live chat option at cap.ucla.edu to connect with a CTO representative during business hours. Staff listings and contact information are also on our website. Can I bring my kids? Which performances are great for families? You know your kids best, but we think children over the age of 12 will be able to enjoy most of our events. Kids are people too! Every person must have a ticket for every performance. For more information on the age-appropriateness of any performance give us a call at 310.825.2101. Subscriber season tickets are mailed shortly before the season begins. Individual Tickets are available for will call pickup night-of-show (usually 60 minutes prior to the performance; check curtain times). On site, you can also upgrade your seats, or purchase additional seats based on availability. Can I print out my tickets at home? All subscriber tickets are mailed. But, if you order individual tickets online, there is an option to select “print at home.” Remember to check your spam folder for those email confirmations. Print your tickets and bring them along for quick entry into the performances. Your printouts can be scanned directly at the theater door.